My friend Saravana Prabhu used to say that books come to you for your read. I had then just finished Chanakya’s Chant followed by Rozabal Line and looking for books on some fantasy and mythology. Meanwhile, knowing that I have a library, Sunil was pestering me for a particular book. He said it was about Shiva. The name was different – The Immortals of Meluha. It was also a ‘so called’ bestseller. 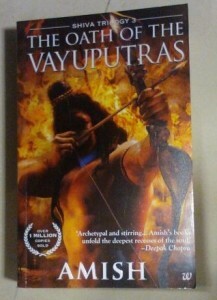 So thought of buying and ordered a copy in Flipkart. Those days, there was no minimum threshold for free shipping (now its INR 500). This book Meluha came to me for my reading. Written by an IIM guy, which is an unsaid trend post 5.someone, I started to read without much expectation. I believed that the book, even if not good, would have been marketed well by the IIM author. The story opened in Kailash Manasarovar with Shiva, not as a God, but a small tribal leader. Bhadra is his friend and Nandi had come to invite Shiva’s tribe to his great land Meluha. Shiva is fed up with unnecessary hatred shown by neighboring clans. So he decides to move to Meluha and his tribe follows him. All these known names were creating an interest in the story for me. Upon reaching Meluha, a medicine Somras, is administered to Shiva and his tribe. While others get relieved from their illness, by drinking the Somras, Shiva gets a blue throat and people start looking at him as their savior. He is considered the Neelkanth long awaited by the Suryavanshis of Meluha. 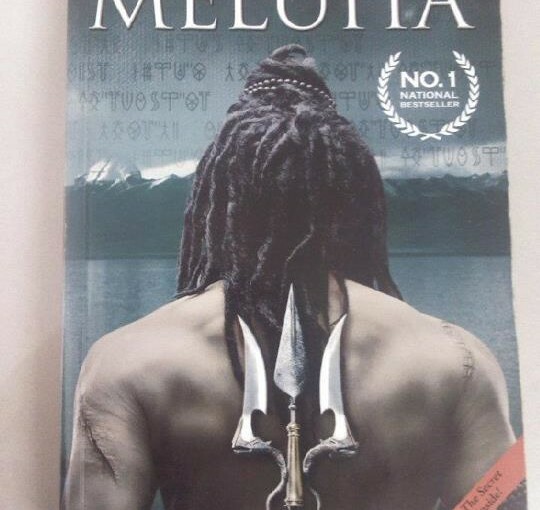 Shiva is taken to the emperor, explained his need by Meluha and ultimately at the end of the book Shiva fights the war of good Suryavanshis to conquer and control the evil Chandravanshis of Swadweep. On the way there is love with Sati, Daksha is there, Bhadra becomes Veerbhadra, Nandi becomes an ardent follower of Shiva, little fights, sacrifices, Vasudev pandits, suspense about Nagas, Brahaspati, Parvateshwar and what not. There were also technologies like Somras, flares, Mandhar Somras production facility, telecommunications, etc. The plot and the way it was woven were interesting. The IIM author has beautifully reasoned and linked every aspect with our existing belief. Having read the first, I was waiting for second which was about to be released in a couple of weeks and I did not need to wait long. I did not order the second book in Flipkart, though it would have been economical. I feared that the delivery may be delayed and hence thought of buying it personally. I went to the Reliance TimeOut on the day of release, only to learn that the book is sold out. I got the book The Secret of the Nagas the next day and started to read it eagerly. The story starts with Shiva realizing that Chandravanshi are not bad but just are leading a life different from that of the Survanshi. Shiva is confused and realizes that he has been deceived to the side of Survanshis. Shiva is more startled, when he realizes that Chandravanshis also believe the legend of Neelkanth. Shiva realizes that good and evil are two sides of a same coin. Roams all around Meluha and Swadweep to track the evil and destroy it. 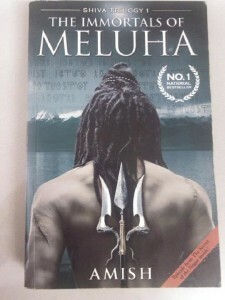 Parashuram fights with Shiva until he knows that it is Neelkanth. 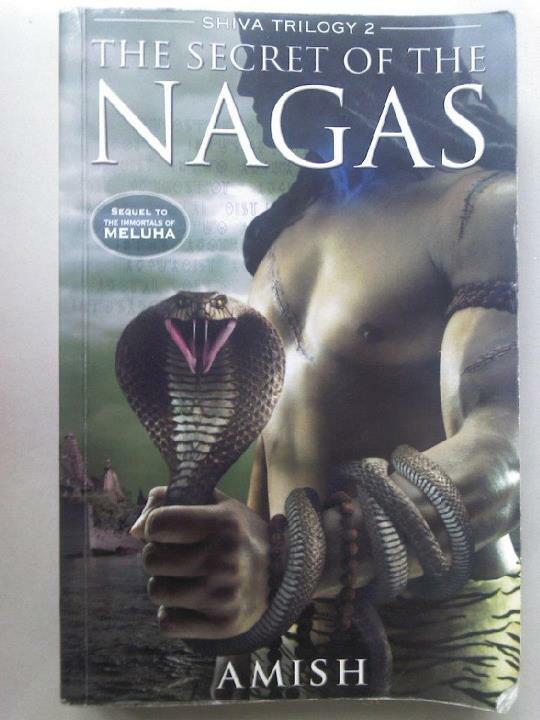 Nagas too are found to believe in Neelkanth. After much roaming here and there, Shiva reaches the land of Nagas which is Panchavati. Much more characters are introduced or redefined like that of Ganesh, Kaali, Kartik, Parshuram, Nagas, Brangas, Maharishi Bhirugu, Ram, Rudra, Vishnu, Mohini. Further technologies were also explained, like the gates are Branga river, mind reading, the Naga paste, Maika system were all even precisely defined in a logical way. I did not actually like the second part The Secret of the Nagas. The second part is mostly Shiva searching the evil and roaming across the India. His past, where he failed to save a life, too haunts him time and again. At one point the search starts boring. However, I still believed that all these will add to the suspense which would be resolved in the final part. The discussions between Vasudev pandits and Shiva were nice. There were incidents and reasoning all over. I waited for the last part to finish it well. In my recent memory, there was no such expectation as was for the The Oath of the Vayuputras. There were huge promotions. After waiting for more than 20 months I too was eager for the third part like others. Meanwhile, Karan Johar had announced that he would film the Shiva Trilogy with Hritik Roshan as lead. I would expect atleast an itemsong by Katrina or Kareena. Obviously, the lucky mascots Rani and Kajol will flash in one frame. There was time for this sweet disaster but now the wait for the book was on. Flipkart took preorders. Our office took preorders. Even this time I had not ordered in Flipkart but was ready to pay 25 bucks extra to get it from my office Reliance TimeOut on hand without any pre-booking. When the book was released, my friend Moin flashed it first on FaceBook with his copy. I managed to get my own copy, by the end of the same day, via my friends in Reliance TimeOut and posted the book in Facebook. Now the exciting part of reading started. As the story progresses, Shiva finds the evil. This time he roams not only across India but goes upto Pariha, today’s Iran. He gets the Deivi Astras from the Vayuputras of Pariha. Shiva destroys evil with Deivi Astras. And finally settles back in Kailash Manasarovar, peacefully. I felt very bad with the third part The Oath of the Vayuputras. There were two indications in the book – the book was dedicated to the author’s father-in-law and somebody has commented that the author is the next Paulo Coelho. I was slightly warned. My friend Rajesh Da Scorp had put in his FaceBook post that this trilogy is bad and that he had realized it in the first book itself. I felt that Rajesh was a little overexpecting. Another friend, Chaitanya, whom I met at a party in Rain Forest, Belapur, too expressed dissatisfaction about the book. Chaitanya is an ardent believer of Shiva and had got Shiva tattooed on him. Ultimately, these indications were right. In the third part, the IIM author had took reasoning and explanations too seriously that he explained everything meticulously including Somras, Somras manufacturing facility, Daivi Astras – both fusion and fission – and their operations. Too much of such explanations sapped out the interest in reading. If the end had been good, all would have been pardoned. The end was pathetic. Shiva was shown as a great personality since beginning, but at the end he ends up without any great fighting. He just fires Daivi Astras and brings evil to end. There is no opportunity to show his valor or character. I felt his character was totally wasted. So were Parvateshwar, Ganesh, Kali, Parashuram, Kartik. In the earlier book and chapters, there were various incidents which held these characters high. But at the end they were given no chance to prove them. Kali, the queen of Nagas whom her people fear like anything, does not fight at all till the end. Ganesh promising that he would always ahead of his mother Sati to fight with an enemy actually never fights alongside Sati. Kartik who promises to never allow his brother Ganesh to fight alone, is never given a chance to challenge his life before Ganesh. Infact, Kartik is shown as a war mongering kid. Parashuram is forgotten. The greatly upheld Parvateshwar has no chance to show his valour. By the end of the story, Sati is given the most importance and Daksha is seen as the big player of everything. No wonder the author dedicated this book to his father-in-law. And comparing the author to Paulo Coelho, man, what a joke. The book is a fiction. Author had the liberty to change the end and could have made more interesting, bringing out the personality of each character. Unfortunately, no character is given a chance to show him/herself. There the book fails. hey, nice to see a good blog 🙂 But I am looking forward to the 3rd book as well, don’t try to spoil the suspense! !